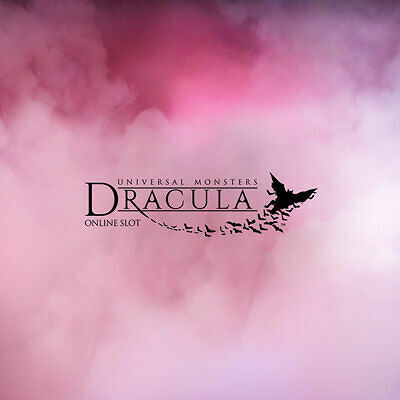 Dracula is a slot powered by Net Entertainment (NetEnt). It has 5 reels and 40 lines. The slot is based on the 1931 Universal Studios film, which was loosely based on the Bram Stoker novel of the same name. NetEnt produced this slot in collaboration with Universal Studios. Stakes start from 20p to £200 a spin. Dracula has left his home in Transylvania, travelled to London and made a home in Carfax Abbey. He’s set to find his victims here, but he can’t do it without your help. You will need to help him track his meals down and you will be rewarded handsomely. He has a taste for alcoholics, fat ladies and tramps. Bring him those and you stand to win wild bonuses, free spins, stacked wilds and more. NetEnt is a Swedish company established in 1996. It’s one of most successful software providers in the online casino industry. NetEnt was the first company to develop Java based online casino software. In later years they changed to HTML5. NetEnt software is used in over 300 fully licensed portals. In addition to their stellar software, they’ve also developed a live dealer casino platform and mobile gambling platform known as NetEnt Live Casino and NetEnt Touch respectively. They have paid out tens of millions in prizes worth of progressive jackpot. The game’s aesthetics have been captured perfectly. The design and symbols match the Dracula theme perfectly. It features an amazing display, brilliant animations, well-rendered symbols and a chilling soundtrack. Find 5 matching letters and symbols for Dracula and he’ll pay up to 40x your bet. Next he’ll need you to make more important targets liketramps, women and alcoholics. These will multiply your bet 10 to 60 times. Do one extra and bring him young beautiful ladies, which he will drain a little and then immortalize through a stacked symbol. This will get you 20xto 200x your stake. The stacked wild replaces all the other symbols on the reels to form winning combinations. Dracula can also appear as a stacked symbol. Bat feature- This feature is activated randomly in the base game. A cluster of bats flies across the reels and then all the bats transform into one random symbol. This includesthe wild. This feature usually leads to large wins especially if the symbols on the reel are high value ones. This usually happens very dramatically and raises the anticipation and excitement. Wild symbol- Dracula is the wild symbol. He can choose to go wild at random and replace all the symbols when he appears on the middle reels. A stacked Dracula appears expanded on the 2ndreel and will also activatefree spins of up to 10 games.If he’s joined by the stacked lady on the 3rdreel, an extra 2 free spins are rewarded. Free spins- Free spins are activated when the stacked Dracula and stacked Lady both appear on the 2nd reel and 4th reel simultaneously. 10 free spins are rewarded. The graphics and visuals are amazing and they create the Dracula atmosphere perfectly. The bats feature is a nice touch and the bonuses are creative and have high payouts. This slot will prove to be enjoyable both in the aesthetic and gambling departments.